This statistic shows the results of a survey conducted in the United States in February 2017. 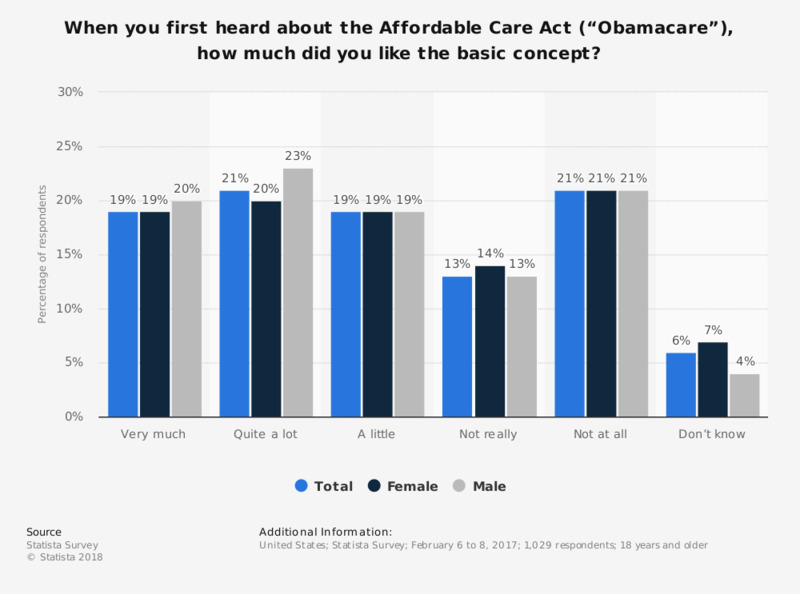 U.S. adults were asked how much they liked the very concept of Obamacare when they had heard about it for the first time. In total, almost 60 percent of respondents had a more or less positive opinion of it.